The process balances the key project constraints and provides a tool for making decisions throughout the project based on stakeholder values, performance metrics, established procedures and project goals. Effective project management includes strategies, tactics, and tools for managing the design and construction delivery processes and for controlling key factors to ensure the client receives a facility that matches their expectations and functions as it is intended to function. Improvements in building quality directly contribute to reduced operational costs and increased satisfaction for all of the stakeholders. 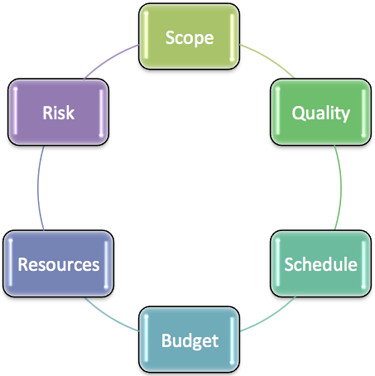 Successful project delivery requires the implementation of management systems that will control changes in the key factors of scope, schedule, budget, resources, and risk to optimize quality and, therefore, the investment. This section offers guidance for the entire team to successfully and effectively optimize the quality of a high-performance building project. It is critical to establish the qualities of the project that are necessary to satisfy client and end user needs and expectations, once it is delivered and in use. Value for the money in construction requires completing a project on time, on budget and to a level of functionality that meets the determined needs. A well-programmed project will continue to provide value and meet user needs throughout its lifetime and will contribute positively to the environment in which it is located with a wide range of social and economic benefits. Early investment in planning, programming, and design can help deliver these benefits and avoid unnecessary costs and delays. Contemporary institutions and organizations are increasingly realizing that traditional forms of management—based on the same approach to every project—cannot meet the needs of today's economic, social, and business environment. Additionally, the processes can be streamlined based on technologies and efficiencies not previously available. The responsibility for delivering a project as planned rests with the entire team. When evaluating options, the whole-life value should be considered and not limited to the short term initial investment. Factors that affect the longer term costs of a facility, such as maintainability, useful service life, and resource consumption should be integrated into the decision matrix. Project Delivery Teams—How to assemble and effectively manage the project team. Risk Management—Provides details on how risk analysis is used as an organized method of identifying and measuring risk. Building Commissioning—Provides an overview of commissioning drivers, benefits, goals, and principles for improving building quality. See our resource guide for more information on best practices. This section of the WBDG provides guidance on terminology and integrated planning and development processes to establish an owner's expectations for project scope, budget, and schedule. It also provides guidance on managing the team during the planning, design, construction, and occupancy phases of a project. This section of the WBDG is applicable to federal projects, other public institutions, and private sector projects with adaptation for organization specific and local standards of professional practices. Identification of other factors, including. There are tools available that help define the goals and objectives for the project that let all stakeholders have a voice in making the project successful. The risks associated with making mistakes in this part of the process are great, since their impact will be felt across the project development process and in the final project results. For more information, see links below in the Additioanl Resources section. Once a design team has been agreed upon and assembled, the owner needs to coordinate and manage the project's design phases. Design management requires the oversight of schedules and budgets; review of key submissions and deliverables for compliance with program goals and design objectives; verification of stakeholder input for inclusion; verification of construction phase functional testing requirements; and appropriate application of the owner's design standards and criteria. This stage should also define the criteria for assessing quality measurement to ensure the project's success. Determining appropriate goals and objectives at the beginning of the process, during a visioning session, and measuring their implementation over the life cycle of building and construction has been proven to increase overall building quality and reduce project costs and timing to delivery. 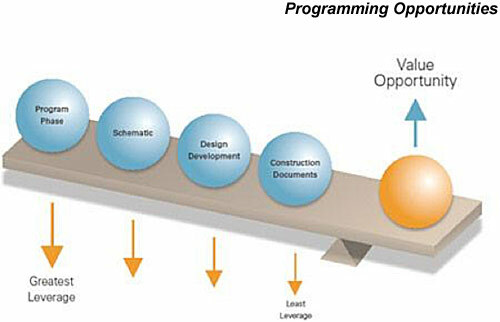 There are many approaches to achieve successful project design and construction. The Delivery Methods are driven by the project's scope, budget, and schedule. Some of these methods include Traditional (Design/Bid/Build), Integrated Delivery Process (where all stakeholders have a financial incentive to work together to produce the desired results), CM (also called CMc, or Construction Manager), Design-Build, Bridging, Lease/Build and Lease Buy Back. The selection of a delivery method will in turn influence the team composition, schedule, budget, and management plans to be followed throughout the process. Project scope is the work that must be performed to meet a client's program goals for space, function, features, impact, and level of quality. 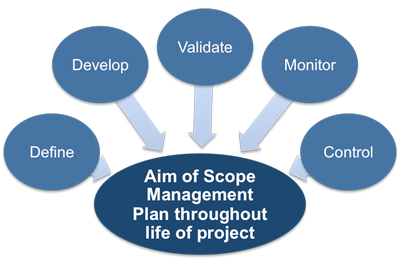 Scope management sets the boundaries for the project and is the foundation on which the other project elements are built. From the beginning it helps identify the work tasks and their requirements for completion. A Project Management Plan (PMP) documents key management and oversight tasks and is updated throughout the project as changes occur. The plan includes definition of an owner's program goals, technical requirements, schedules, resources, budgets, and management programs. It also provides a vehicle for including efficiencies in the design and construction phases of all buildings. It will also serve as the basis for completed construction documents and outline the commissioning plan for finished execution. Building Information Modeling (BIM) is the process of generating and managing building data during its life cycle Typically it uses three-dimensional, real-time, dynamic building modeling software to increase productivity in building design and construction. The process produces the Building Information Model (also abbreviated BIM), which encompasses building geometry, spatial relationships, geographic information, and the quantities and properties of building components. 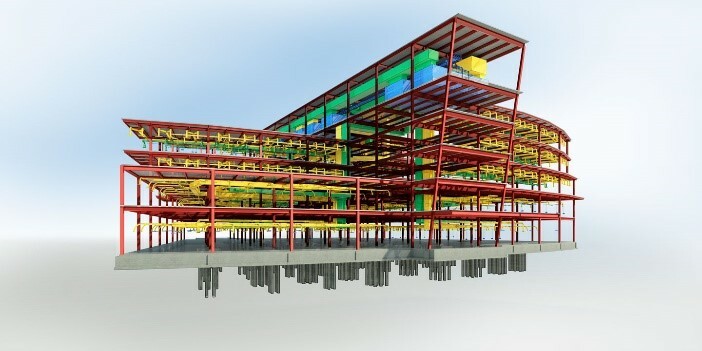 Utilizing BIM has the potential to save project time and cost and increase overall productivity of construction and delivery of building projects with less rework, design, and construction errors. BIM single data entry into one model avoids the opportunity for inconsistency and error of repeated input of identical data in multiple media. Data once entered or altered is available in the single current model available to all. BIM design efficiency reduces the cost of design and preparing contract documents. BIM base information is uniform and shared with all participants. BIM three dimensionality and software identify physical conflicts between elements reducing significant construction delay, and extraordinary additional expense. Where modifications are suggested, the impact of the proposed changes are immediately apparent, subject to evaluation and reconsideration. BIM three dimensionality assists in sequencing and constructability reviews. Confidence in shop drawing and fabrication accuracy is improved by BIM because the model can provide construction details and fabrication information. More materials can be fabricated more economically off site under optimal conditions due to the confidence in the accuracy of the fabrication. BIM can link information to quantify materials, size and area estimates, productivity, material costs and related cost information. Overall, the BIM digital model becomes a rehearsal of construction and can help identify conflicts and their resolution before actual construction dollars are spent. This stage should include all of the components involved with construction and documentation for the project. The team members involved in this phase will be responsible for Requests for Information (RFIs), Change order management, conflict resolution, inspections, submittal reviews, adhering to schedules and coordinating timely payments. Oversight in this area is critical because it has significant impact on a project's total cost. Budget Establishment - Initial budgets are established by the owner based on the owner's required program and the design, as well as realistic estimate of the cost to execute the related work in current market conditions. The budget should anticipate all program requirements from planning, programming and design to bidding, construction, turnover, and post occupancy. Once established and agreed, the initial project budget should not change, unless amended by approved changes. 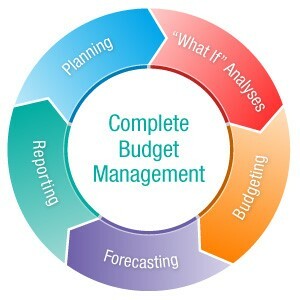 Budget Management - During the preconstruction process, the details of the program and design are developed. The design process is managed by the team with the ultimate goal of achieving the owner's program requirements within the budget and timeframe needed. This is accomplished by progressive and proactive estimating at key design milestone points, such as concepts/schematics, design development and construction drawings. When the design or program starts to grow or "creep", the project team must work together to bring the design and estimated cost back in line with the established budget. Value analysis, alternate procurement strategies, cost-benefit analysis, program adaptation and life-cycle costing are a just a few examples of the tools available to the team to help manage design to budget. Respecting roles and working together to solve issues as they arise. A project schedule establishes a timeline for delivering the project and most importantly, the project activities and their respective inter-relationships. Avoiding missing deadlines for delivery of key project components is a key objective of schedule management. 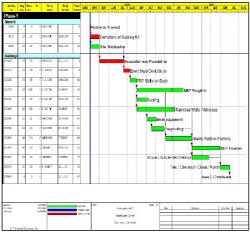 Comprehensive project schedules will identify all of the project's stages, phases, and activities assigned to each team member mapping them to a timeline that measures key dates that are used to keep track of work progress. Schedule management interfaces directly with scope, cost, and quality optimization and team member roles and activities must be defined, coordinated, and continually monitored. 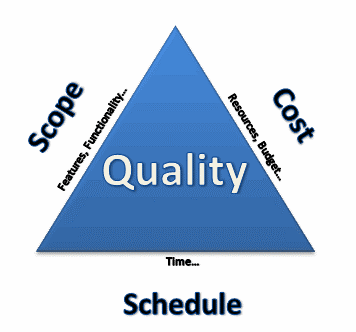 It is the goal of every project manager to look for efficiencies in all of these areas as a project progresses. There are many software options available to assist in the management of a project or program of work. A key point in making a selection is ease of use-some programs are designed to handle very complex situations while others are more straightforward and user-friendly. Keeping in mind the end-user and information required to be generated will help in selecting a system that is scaled appropriately for the project at hand. Generally, all will require a Work Breakdown Structure (WBS) to be created within the system, breaking down the entire project or program into manageable pieces. The WBS can be customized to suit the agency's needs, and should be consistent across budgeting, scheduling and construction management. Links to software tools available are provided in the Resources section below. Functionality, Build Quality, and Impact. Functionality is concerned with the arrangement, quality and inter-relationships of space and the way in which the building is used. Build Quality relates to the engineering performance of a building which includes structural stability and the integration and robustness of systems, finishes, and fittings. Impact refers to the building's ability to create a sense of place and have a positive effect on the local community and environment. DQI also encompasses the wider effect the design may have on the art of building and architecture. 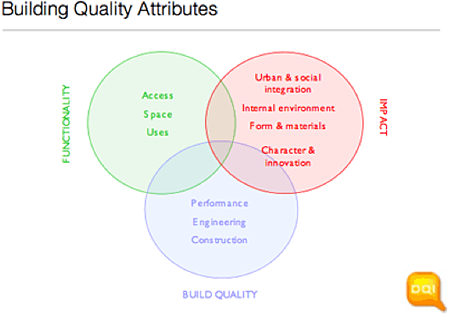 It is the interplay between all of these factors that creates a truly high performance building. Quality optimization starts with matching expectations about functionality with budget and scope during planning and design reviews and continues through construction delivery with a program of inspections, tests, and certifications. It requires a coordinated performance among the entire project team in order for a completed building program to optimize the satisfaction of client's and users' expectations. Having a process implemented at the beginning of the project will help define the goals as well as provide a continuous measurement system over time to make sure the objectives are being met. From visioning to post occupancy, a system like the Design Quality Indicator (DQI) helps eliminate errors, reduces cost, and improves overall building quality. 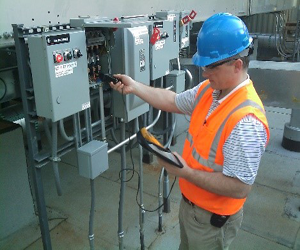 Building commissioning (Cx) is quality assurance process for achieving, verifying, and documenting that the performance of facility systems and assemblies meet the defined objectives and criteria for the project. It is a systematic process of ensuring that building systems perform interactively and effectively according to the design intent and the owner's operational needs. The Commissioning Provider (CxP) should coordinate, manage and record the minutes of the OPR workshop. The CxP should also confirm the mandatory wide participation of persons in the workshop, including the O&M staff. The CxP should also have primary responsibility for writing the OPR document and checking the engineer's Basis of Design (BOD) document. This is achieved by documenting the owner's requirements and assuring those requirements are met throughout the entire delivery process. This involves actual verification of systems performance; comprehensive operation and maintenance (O&M) documentation; and training of the operating personnel and implementation of long term trending and data logging to optimize operation. Building Commissioning Services may include Commissioning Plans, Total Building Commissioning, Systems Commissioning, Pre-installation Performance Testing/Commissioning, Re-Commissioning, Retro-Commissioning. Project Management Process for Department of Energy (DOE). FedBizOpps—The single government point-of-entry (GPE) for federal government procurement opportunities over $25,000. Government buyers are able to publicize their business opportunities by posting information directly to FedBizOpps via the Internet. Through one portal—FedBizOpps (FBO)—Commercial vendors seeking federal markets for their products and services can search, monitor and retrieve opportunities solicited by the entire federal contracting community. NPR 8820.2F Facility Project Requirements (FPR) by National Aeronautics and Space Administration (NASA). AIA Handbook on Project Delivery by AIA California Council. The Architect's Handbook of Professional Practice by American Institute of Architects (AIA). APM Body of Knowledge – 6th Edition by Association for Project Management (APM), 2012. Construction Management Standards of Practice by Construction Management Association of America, 2015. Construction Project Administration by Edward R. Fisk and Wayne D. Reynolds. Upper Saddle River, New Jersey: Prentice-Hall, 10th edition, 2013. "Design Values – Measuring the Economic Value of Investing in Architecture and Design" by Marc S. Sallette. Urbanland, 2005. ISO 9000 Standard by International Organization for Standardization (ISO). ISO 9000 in Construction by Paul A. Nee. John Wiley & Sons, Inc., 1996. Managing the Construction Project, A Practical Guide for the Project Manager by Theodore J. Trauner, Jr. New York: John Wiley & Sons, Inc., 1992. PMBOK® Guide and Standards by Project Management Institute (PMI). Practice Standard for Work Breakdown Structures by Project Management Institute (PMI). 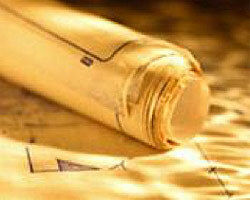 Project Management in Construction by Sidney M. Levy. McGraw-Hill, 2011. Project Management, Principles and Practices by Pete M. Spinner. Prentice-Hall, Inc., 1997. Project Planning Guide by the U.S. General Services Administration. Construction Industry Institute (CII)—A consortium of public and private facility owners, construction contractors, material manufacturers. Construction Management Institute (CMAA)—An association representing the construction management profession. 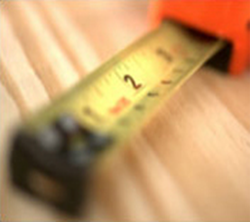 DQI USA, LLC—The Design Quality Indicator tool for measuring building quality. Federal Facilities Council (FFC)—A cooperative association of 24 federal agencies responsible for facility design, acquisition, management, maintenance, and evaluation. Project Management Institute (PMI)—An association representing the project management profession with practice standards, credentials certifying project management expertise, and resources for professional development. Architectural Practices—A free resource for architects, engineers, contractors, and other members of the building community. It provides tools and advice to help architects manage projects effectively.